Apple's logo was displayed on Greenpeace's blimp, which flew over Silicon Valley on Thursday as part of a publicity stunt to encourage technology companies to adopt sustainable energy. 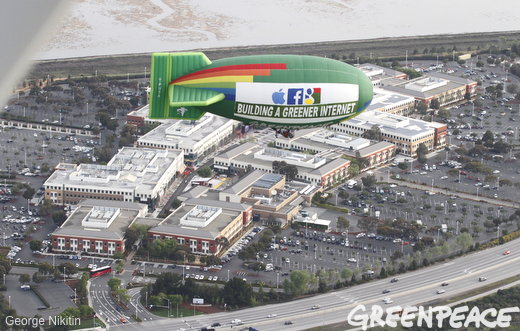 The other side of the blimp was used to call out four technology companies that Greenpeace feels are not going "green" with their cloud-based operations. The airborne vehicle displayed app logos for Amazon, Netflix, Twitter and Pinterest with the question "who's next to go green?" 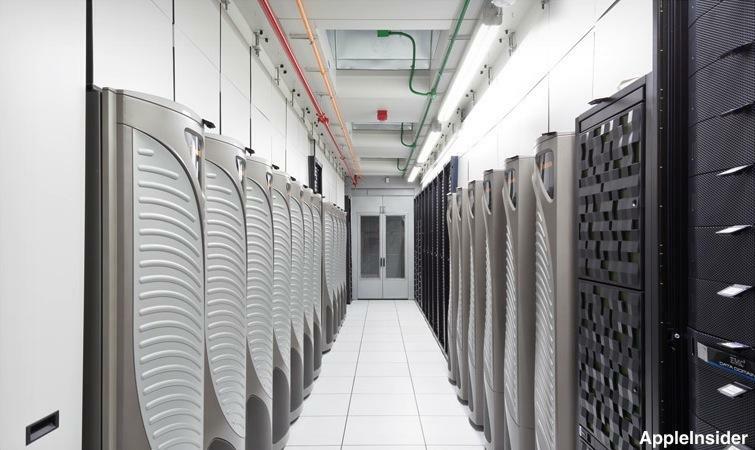 The display comes a day after a report from the organization declared that Apple's data centers are the most environmentally friendly in the technology industry. Greenpeace also identified Apple as "the most innovative and most aggressive" company in Silicon Valley at finding ways to feed its data centers with renewable energy. While Apple was given a score of "A" and ranked 100 percent in the group's "Clean Energy Index," Amazon and Twitter both earned failing grades. Google also earned an "A," but its servers still utilize some natural gas, coal and nuclear power, which gave the search giant just a 48 percent on the index. Greenpeace also praised Apple in February for reducing its use of conflict minerals in products like the iPhone. The group hailed Apple Chief Executive Tim Cook for increased transparency at the company under his watch. The organization's endorsements of Apple are a change from years past, when Greenpeace singled the company out over environmental issues. In 2012, the group held protests in both Cupertino, Calif., and Cork, Ireland, accusing Apple of using coal-based power at its massive data center in Maiden, N.C. The company responded by pledging to rely on 100 percent renewable energy by the end of the year, and now lays claim to some of the greenest data centers on the planet.